4 bedroom, 2 bathroom villa in the Indian Ridge Oaks community. Owned by Ian and Kathryn Bramley. Ref: 3505. “Laurel Oak”, 4 Bedroom/2 Bathroom villa with South Facing Private Pool only 10 minutes from Disney. 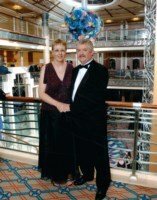 Hi, we are Ian & Kathryn Bramley and we live in Wakefield, West Yorkshire in the North of England. We have a grown up daughter, Emma and a Labrador called Louis. 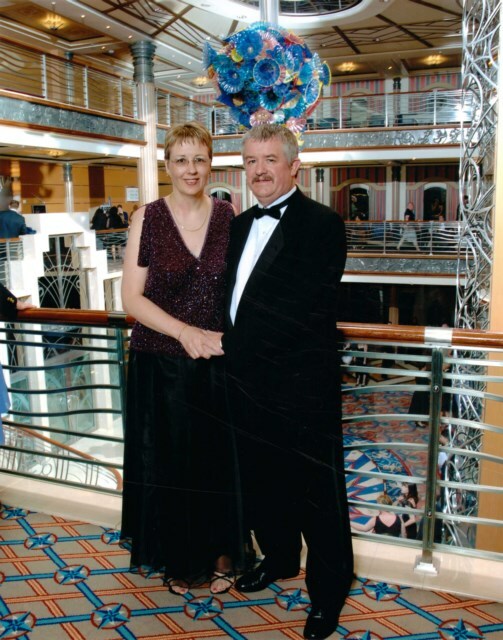 I am a retired Chartered Surveyor but I still assist in the running of the family business which is a Sub-Post Office where my wife is the Sub-Postmistress and my Daughter is the Manager. We first visited Florida is 1992 when Emma was 7 in what we thought would be a “one off” visit to Orlando and Clearwater Beach. How wrong we were – we loved Florida and the USA so much we have been coming over ever since and can’t think of anywhere else we would rather visit. We previously stayed in hotels until 1996 when we rented a villa owned by a work colleague. Wow, what a difference from a single room, so much room and of course the private pool all to ourselves. We loved it, so much so we decided to buy our own. We looked at various properties, some re-sales and some new build on a number of sites and decided on a 4 Bedroom/2 Bathroom villa in the Sub-Division of Indian Ridge Oaks. We loved the location being just off the 192 and one of the closest to Disney being less than a 10 minutes drive. We completed on the villa in 1997 and therefore are the only people who have owned the villa. The villa is regularly upgraded and superbly maintained and managed by an excellent Management Company who we now regard as friends. They are on hand 24/7 in the unlikely event that you have any issues. We love Florida and are more than happy to advise on things such as flights, car hire, attractions etc. Nothing is too much trouble for us so don’t be afraid to ask, we love nothing more than chatting about Orlando and Florida. If you have visited Florida before you will know what we are talking about, if it’s your first visit we are sure that you will come to love Florida as much as us because it’s addictive. Please get in touch, we’re sure you wont be disappointed. Welcome to “Laurel Oak”, a beautiful vacation villa which features 4 bedrooms, 2 bathrooms, heated private south facing swimming pool, air conditioning and having all modern conveniences including large fridge/freezer, oven, microwave, waste disposal, dishwasher, coffee maker, toaster and all necessary bedding, towels, crockery and cutlery. 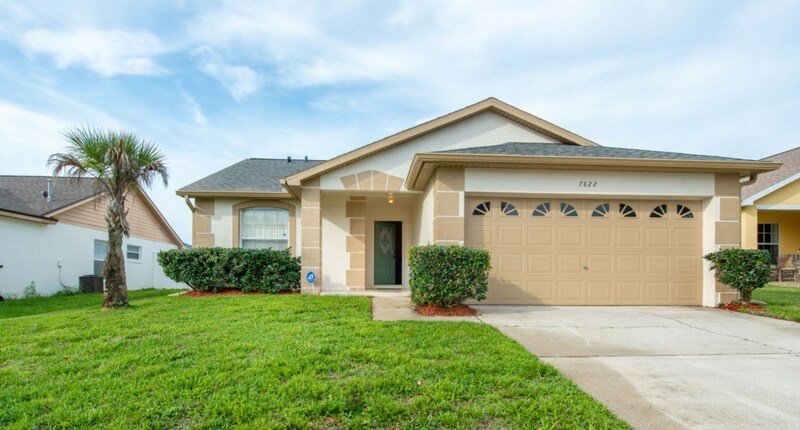 The villa is located on one of Orlandos most sought-after developments, INDIAN RIDGE OAKS which is just off Highway 192 and only some three miles and only a genuine 10 minute drive from WALT DISNEY WORLD and close to all the other attractions of the Orlando area. Orlando International Airport is around 30 minutes away with Sanford Airport around 60 minutes. The Atlantic coast beaches are about 1 hours drive and the Gulf coast beaches can be reached in under 2 hours. There are many shops, supermarkets and restaurants nearby on Highway 192. The villa is managed by an experienced and locally based management Company who are on hand 24 hours to provide assistance and support for guests. Fully air-conditioned 4 Bedroom / 2 Bathroom villa with private heated and screened pool. The villa is fully equipped with all bedding, towels, cutlery, crockery etc. and a barbecue is also provided for guests use. It has 2 telephones and also benefits from free HIGH SPEED INTERNET ACCESS, free calls in the USA and free calls to the UK and Europe, a SAFE and a full monitored FIRE & SECURITY ALARM. There is also a full size cot (crib) and a high chair. Gas barbecues can be hired from our Management Company who can also provide attraction tickets. The Lounge Area has a ceiling fan, 2 three seater couches, a 42" widescreen High Definition LCD remote control colour cable TV, a Blu Ray DVD player and an entertainment centre incorporating CD player. The Kitchen is fully equipped with a large fridge freezer (with ice maker), oven, microwave, waste disposal, dishwasher, coffee maker, toaster and all cutlery and crockery and a telephone. Within the kitchen (behind folding doors) is an automatic washing machine and tumble dryer. An iron and ironing board are provided. The Master Bedroom has a queen size bed with a Sealy Posturepedic Pillow Top mattress, two nightstands, full size dresser with mirror, radio alarm clock and walk in closet. There is a ceiling fan, a 21" widescreen LCD remote control colour cable TV, telephone, and en-suite bathroom with, shower, toilet and twin hand basins. A hair dryer is provided in the bathroom. A door leads out from the bathroom on to the pool deck. Bedroom 2 has a queen size bed with a Sealy Posturepedic Pillow Top mattress, two nightstands, full size dresser with mirror, radio alarm clock, built in wardrobe and a colour cable TV. Bedrooms 3 & 4 both have twin beds, nightstand and built in wardrobes. There is a second house bathroom with toilet, bath, shower, hand basin and hair dryer. A pool table and air hockey are provided for guests use in the garage. The pool is 30 x 15 and ranges from 3 to 5 in depth. Its screened from insects and south facing so catches the sun all day. Its fenced for complete privacy and is provided with quality pool furniture. There is a safety fence to prevent small children accessing the poll area without an adult which can be removed if required. There is a digital lock on the front door of the villa and guest will be given the code before departure so there is no need to collect keys before accessing the villa. The villa was superb, a very high standard, would love to come back next year. Gary (Sunray Management) was very helpful and friendly. Thank you all for a great 2 weeks. Pete, Sandra & John Woodhead, UK – April 2012. The LaVere Family had a great time in this villa. We relaxed, played and enjoyed every minute. Ian we appreciate your hospitality. Again, thank you again for sharing your home with the LaVere Family! Nice villa, we really enjoyed the pool area. We had a fantastic holiday. The villa suited all of us. The location was so convenient for Disney and getting onto I4 for Universal and Sea World. Many thanks for sharing your lovely villa with us. Very convenient location for everything from Disney Parks to shops, malls etc. Had a very enjoyable holiday. our youngest daughter particularly enjoyed the pool and games room. Thank you Ian for all your assistance prior to our trip. We hope to be back next year. We had a great time. Your house was great and met our expectations. I really appreciate your help to make this vacation special. I will recommend your house in the future. Had a great time. Excellent location. Thanks for letting us stay in your lovely villa. What more could you ask for, a lovely spacious home. Gary & Diane (Managers) were very helpful. We would recommend it to anyone. What a lovely villa you have. A great base close to Disney, Sea World and Universal - just perfect, a home from home. We would definitely return and would not hesitate to come back to your lovely villa. This spacious home may end up costing my husband and I a lot as it has many amenities that I would like to have at my own home. The house had lots of room, storage, bedrooms, towels, dishes, and TV's. The pool and the games room were great for the kids. I loved the safety features of the pool. My kids, Grandma and I really enjoyed it. Would definitely go back if planning a trip to Orlando. The neighbour was helpful also. Just fabulous. Great location for everything. Kids loved the pool and games room, adults enjoyed the space. Had a lovely holiday in your villa, the boys loved their rooms with TV's and the games room. We loved the pool and had everything we needed in the villa which is very well located. Just a note to let you know that we had a great time at your villa it was just perfect in every way. The children had a great time in the pool and also in the games room (garage) We would certainly book it again if available. This is our third time staying in America and we have been overwhelmed at the high standard of this villa. Excellent location, spotless, wide range of facilities such as the pool and games room. Would highly recommend. Thank you for having us. We had a fab holiday and the villa was fantastic and a great location, thank you. We had an amazing holiday, your villa was great and the location was just fantastic for everything. Just returned home today. We have had a fantastic holiday and managed to see everything we wanted. My grandchildren loved going back to the villa to have a swim after a hectic day. The villa was very comfortable and relaxing and we will recommend it to friends and family. It was so close to Disney. Thank you for all your help and advice throughout which was very helpful. All prices shown are for the Villa (not per person). £100/$150 per week non refundable deposit is required at time of booking. Balance is due 8 weeks before arrival. Optional pool heating at £15/$25 per day. We had an amazing holiday, the villa was great and the location was just fantastic for everything. We had a brilliant time in Florida and your villa was fantastic, could not have been better and so near to Disney which made it even more wonderful. We will definately book with you again if that's OK. We are hoping to return in 2 years, so you will hear from us again. We had a fantastic holiday and the villa was perfect thank you for letting us share it. We will definitely keep your details should we be looking to stay in the area again. Your enquiry will be sent to villa ref 3505 only. This page has been viewed 20793 times since 19 Jun 2011.